Partenaire Europe has fully integrated our operating procedures, inherently dependent on the restrictions. Their comprehensive screening and methodical approach to potential partners licensing has allowed us to identify and meet future partners. In order to implement our project of external growth, we asked Partenaire Europe to conduct the first screening of potential targets. Their thorough understanding of our needs made us use their services again. We also authorised Partenaire Europe to contact the short-listed companies. This enabled us to meet the companies ready to sell their capital and start the negotiations. Partenaire Europe contributed to preparing our Business Case in a project of industrial expansion. Their studies and on-site assistance enabled us to select the most suitable areas of expansion within the territory of the target countries, to visit industrial sites and understand local economic, industrial and institutional environment. Partenaire Europe offered us considerable help regarding our development strategy. To be more specific, we saved a lot of time and money by not acting directly by ourselves. I participated three times in the Agroshow fair organised by UBIFRANCE and I was not able to make contact with potential partners. As a result of the business trip organised by Partenaire Europe, I finally met my future collaborator. Partenaire Europe performed a brilliant investigation job, which enabled us to make various valuable contacts. As a result, we enhanced our image and gained better knowledge of the market. We wanted to turn to eastern markets. Partenaire Europe provided us with the best knowledge of the market and, hopefully, of our future customers. 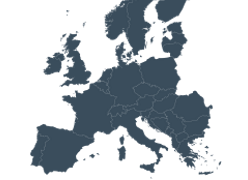 We have trusted Partenaire Europe to successfully implement our international strategy in the region of Central and Eastern Europe. Thanks to them, we have gained profound knowledge of the market which encouraged us to send on site a representative under the French. I decided to use the services of Partenaire Europe […] in order to enhance and secure the reputation of the SPACE trade show. […] They enabled me to identify interesting connections and set up communication partnerships. In a highly competitive world, Partenaire Europe enabled us to meet many suppliers, thanks to their good coordination and extensive quality expertise in our market. Partenaire Europe significantly sped up our plans to expand into Eastern Europe. As a result of the meetings they organised, we have established two commercial partnerships shortly after the trip. Their organisation and the services on site left nothing to be desired. Our clear expectations let Partenaire Europe help us assess the market and to find and select partners with whom we signed an exclusive distribution agreement and thus enhanced our sales. Partenaire Europe allowed us to discover new specific paths of development. They have fully lived up to our expectations and needs. We used the services of Partenaire Europe twice (…). First, their contribution enabled us to start business activity, and second, to significantly improve our sales.